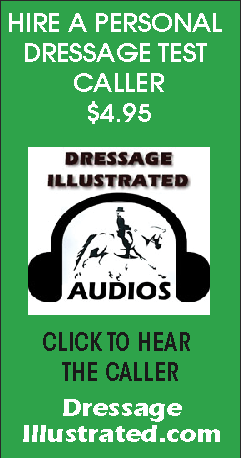 The Great American/USDF Regional Dressage Championships program is designed to promote and recognize the pursuit of excellence by providing a showcase competition that meets established quality standards for riders within each of the nine USDF regions. Riders can qualify for the Regional Championships by riding in designated qualifying classes at USDF recognized competitions. The Regional Championship competitions provide an excellent opportunity for spectators to view the top horses and riders in their region. The USDF Regional Adult Amateur Equitation Program recognizes adult amateurs competing in equitation and promotes correct seat, position, and use of the aids in dressage. An Adult Amateur Equitation Regional Final class will be held in conjunction with each of the nine USDF Regional Dressage Championships. Adult Amateurs wishing to qualify to compete in an Adult Amateur Equitation Regional Final may qualify to do so by earning a 70%, or higher in any Dressage Seat Equitation class (except walk-trot) or by qualifying for the Great American Insurance Group/USDF Regional Championships (freestyles exempt). Effective for the 2019 regional championships, owners must have a USDF Participating or Business Membership and a USEF membership (Junior Active, Senior Active, Life, or Recorded Farm (with Active Farm Owner)). If the horse has more than one owner, at least one owner must have both active USEF membership and active USDF Participating or Business Membership and must be the owner of record with USEF and USDF. For a business or farm to be the valid owner under this requirement, it must be listed as an owner of the horse with both USEF and USDF. To qualify for a Regional Championship, horse/rider combinations must earn a total of two qualifying scores at two different USEF-licensed/USDF-recognized Dressage Competitions, from two different judges. For more information, please become familiar with all of the program rules. Horse/rider combinations who qualify through the nine GAIG/USDF Regional Championships, will have the opportunity to compete on the national stage at the 2019 US Dressage Finals presented by Adequan. 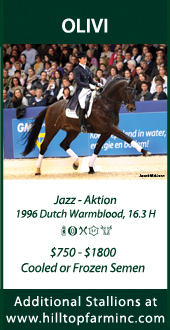 It will be a head-to-head competition in Dressage showcasing Adult Amateur and Open riders at Training through GP levels. The event will include the Open and Adult Amateur Divisions at Training through Grand Prix levels and all Freestyles. Champions and Reserve Champions who have achieved a minimum score, and filed a "Declaration of Intent" will be eligible to compete. "Wild Card" invitations are also available to high-scoring competitors in the Regional Championships who are not otherwise eligible. USDF is pleased to have the continued support of Great American Insurance Group as the title sponsor of the regional dressage championship program. 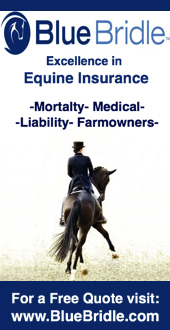 Great American is one of the world’s leading providers of equine mortality insurance and related coverages in addition to offering a full line of property and casualty products for the equestrian community through its equine farm center. Serving customers since 1872, Great American Insurance Company is rated “A” (Excellent) by A.M. Best. To learn more about Great American, visit here. Thank you to SmartPak, presenting sponsor of the regional championships. The patented SmartPaK supplement feeding system gives horse owners peace of mind with its pre-measured dosages for each horse. 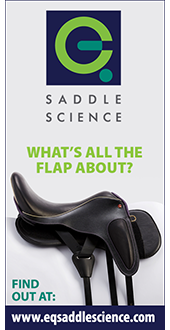 To learn more about SmartPak or to shop their products, visit here. Thank you Platinum Performance, supporting sponsor of the regional championships. Platinum Performance is committed to making sure that equine veterinarians, horse owners and trainers have the nutritional tools and information needed to benefit from cutting edge equine nutrition and supplementation. To learn more about Platinum Performance, visit here.